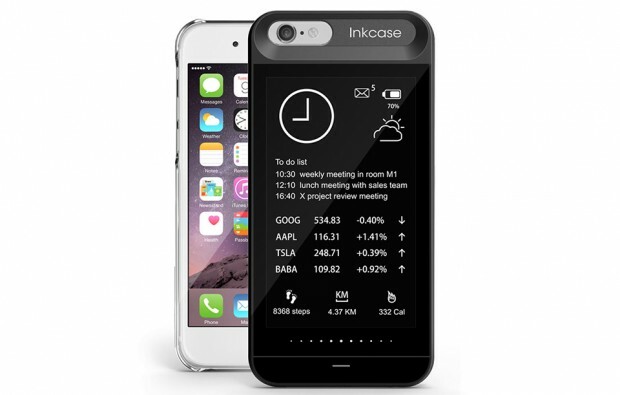 A couple of years ago we checked out the Popslate, an iPhone 5 case with an E-ink screen. 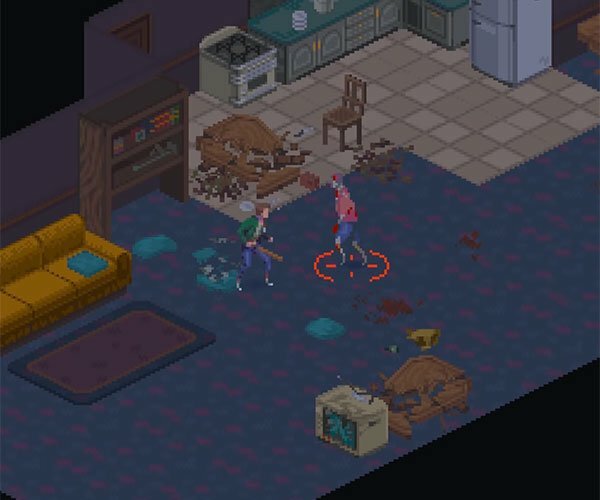 Turns out it can only display images, which while still cool doesn’t make it that useful. The inkCase for the iPhone 6 on the other hand promises to display a variety of information on its E-ink screen. 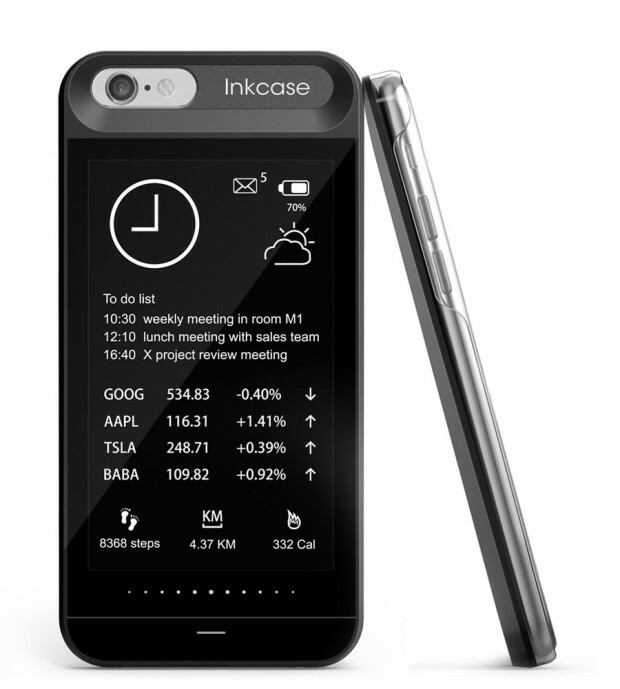 The inkCase has a 4.3″ 480×800 E-ink screen. Like the Popslate, you’ll be able to display an image on it, but as you can see it can show much more than that. Maker Oaxis says it will release a companion app that can push various notifications such as email and weather, alongside other widgets such as a clock, a fitness tracker and stocks. 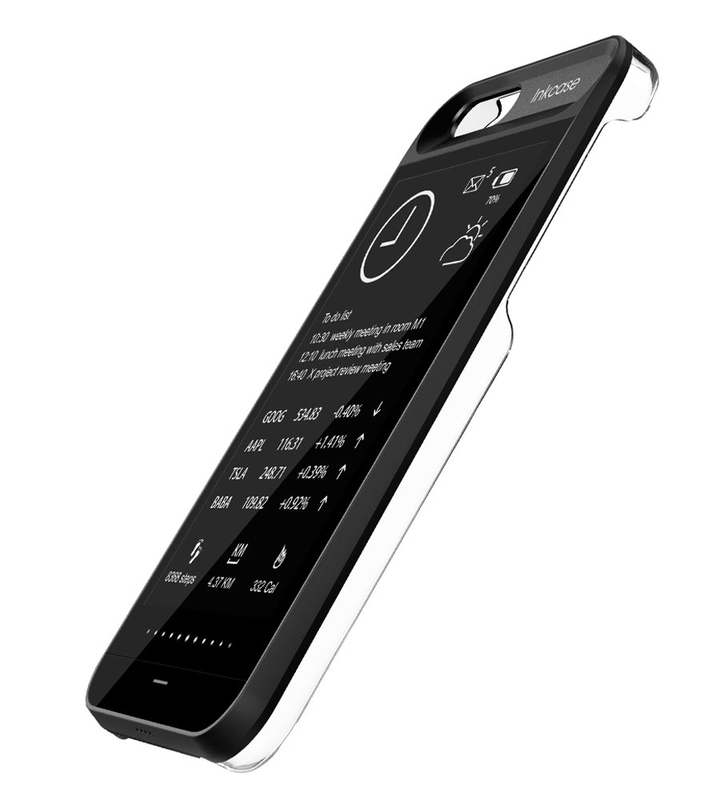 Best of all, Oaxis promises that you’ll be able to use the E-ink screen to read text, although the company didn’t say how exactly that will work. 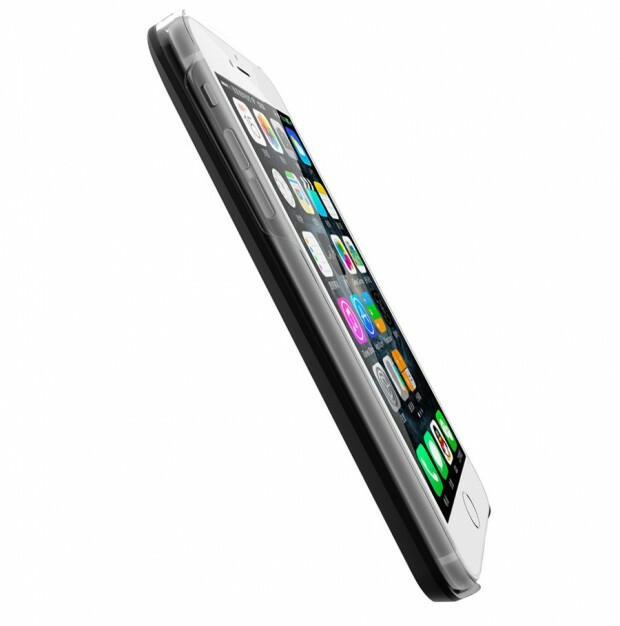 The E-ink screen probably won’t have a touch-sensitive layer, but the case will have both a touch-sensitive and a mechanical button, presumably to switch its functions and toggle the screen on and off. 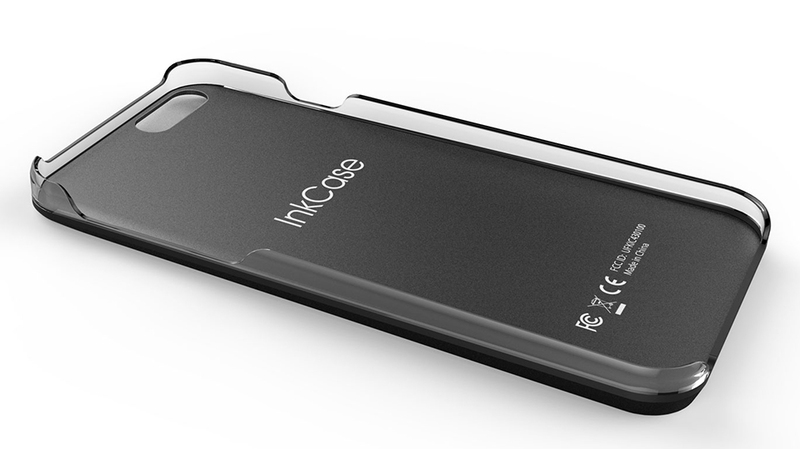 The case has a 300mAh battery built-in, but since its companion app will push data to it over Bluetooth your iPhone 6’s battery will still take a small hit to keep the E-ink screen’s content updated. Oaxis hasn’t announced the inkCase’s price or when exactly it will be available, just that it will be released this spring. I really hope this works as advertised.